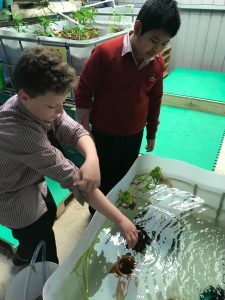 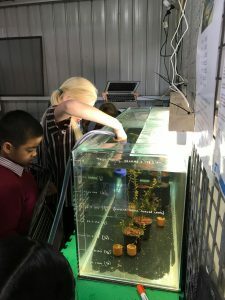 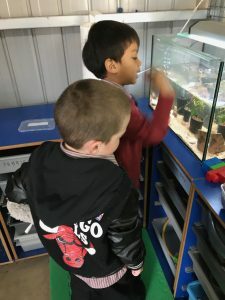 Students have been engaged in a range of investigations and constructions in our fish farm. 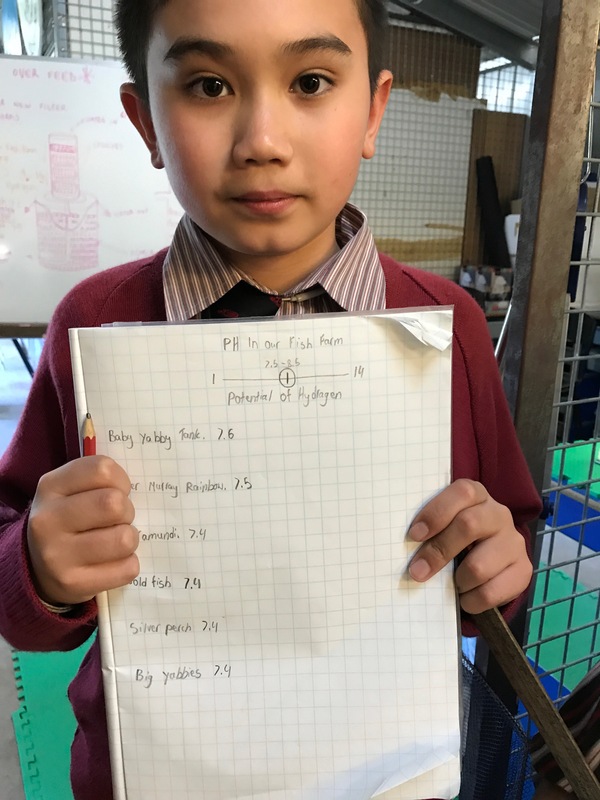 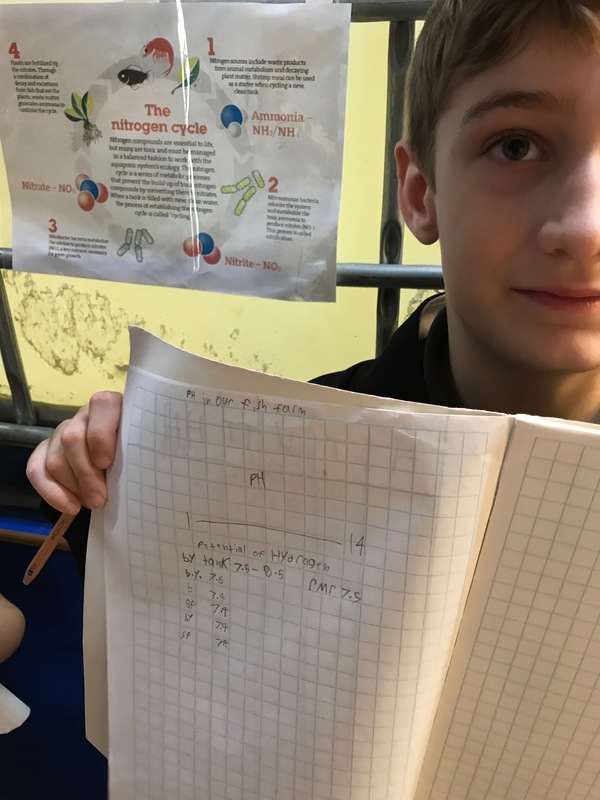 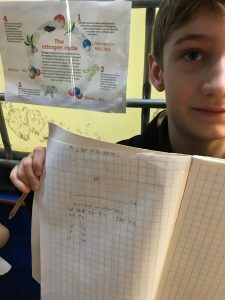 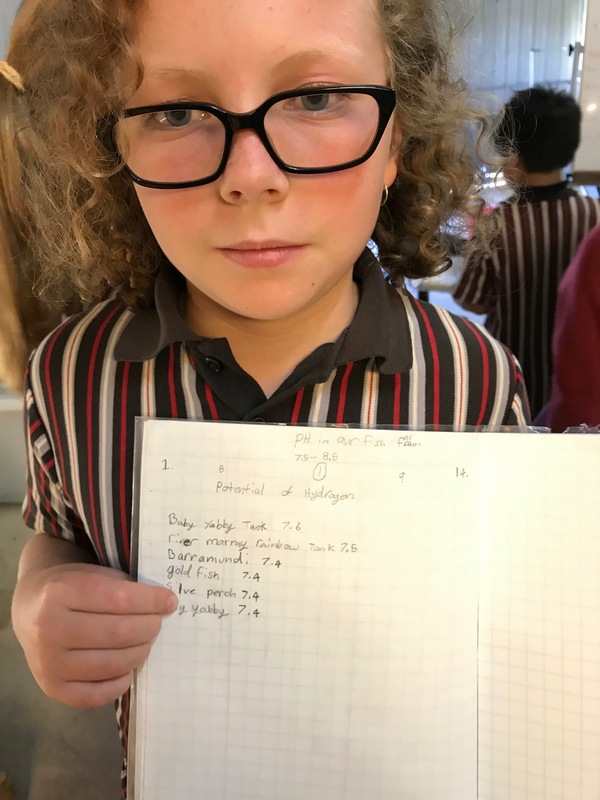 Year 3/4 students increased their knowledge of decimals by measuring the pH level of each tank and recording their results. Older students assisted with constructing aquariums, Max the turtle loves his new tank! 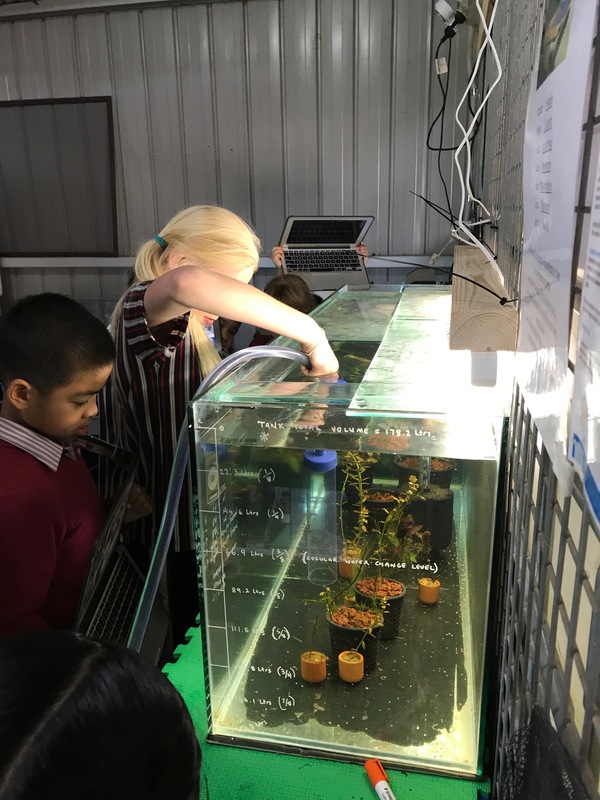 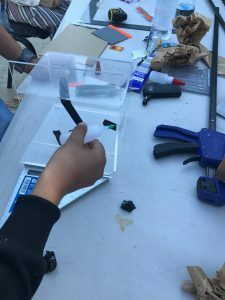 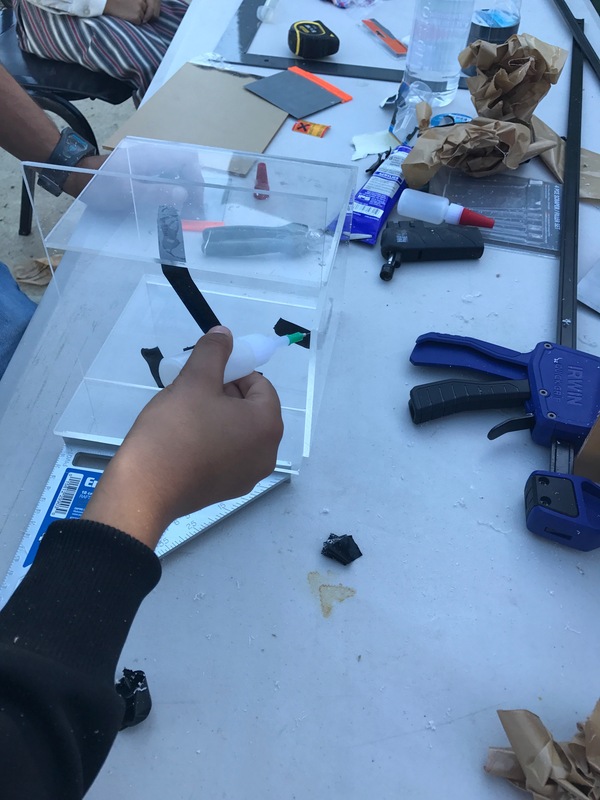 Our students clearly understand the importance of maintaining a high water quality in all of our displays and so enthusiastically extract and replace the water by exploring their knowledge of siphons and gravity. 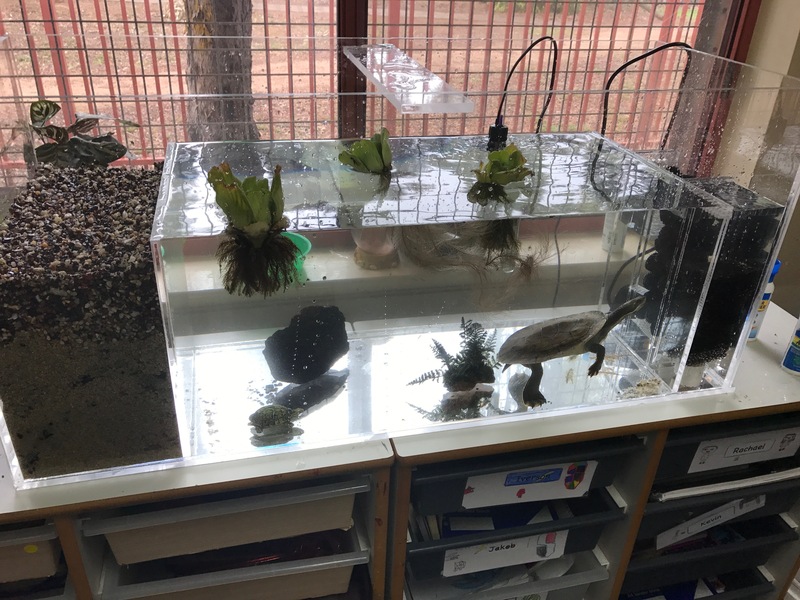 Simon our “aquaponic tradie” has been constructing viewing platforms and safety rails to ensure our centre complies with safety regulations and he’s also donated some amazing new goldfish . 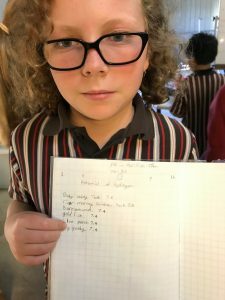 Thanks for your great support Simon. 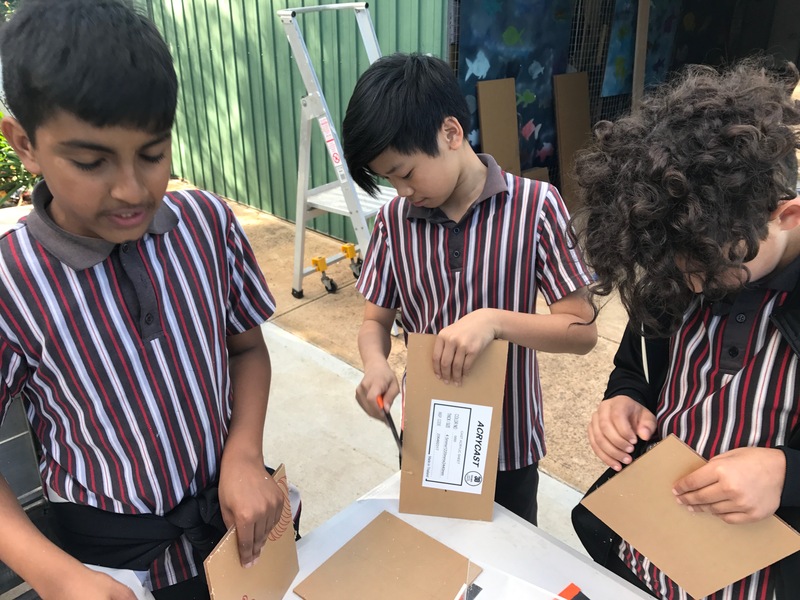 The school staff have been working on ways to deliver some amazing projects in our centre including some spectacular art work. We look forward to a formal launch of our fish farm and the announcement of a significant name for project.